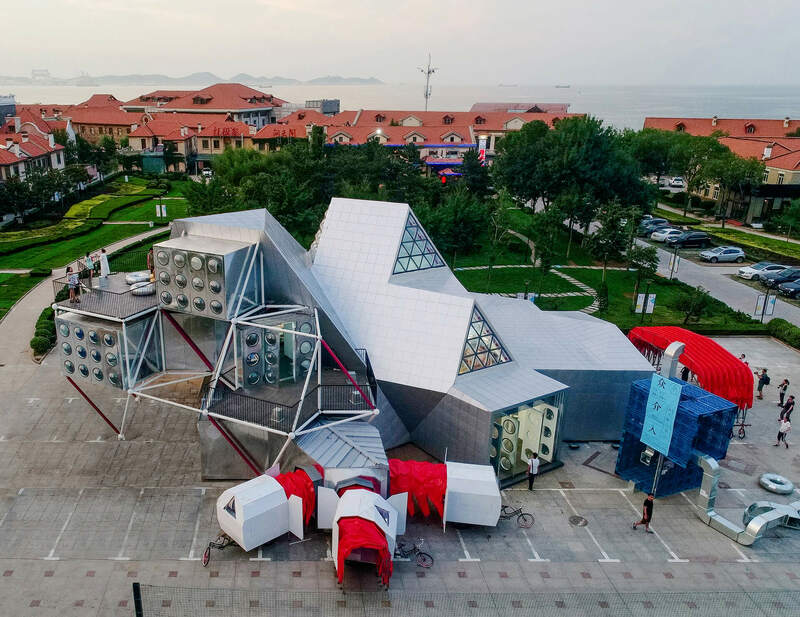 The People's Station is a cultural center designed to reinvigorate the sleepy Kwan-Yen district of Yantai. The building is situated just beyond the edge of the business district. With large open entryways, semi-outdoor areas and sections lifted above the ground, the building acts as a nex-us that invites visitors to explore the historic core of the city. The project followed an unusually tight schedule. 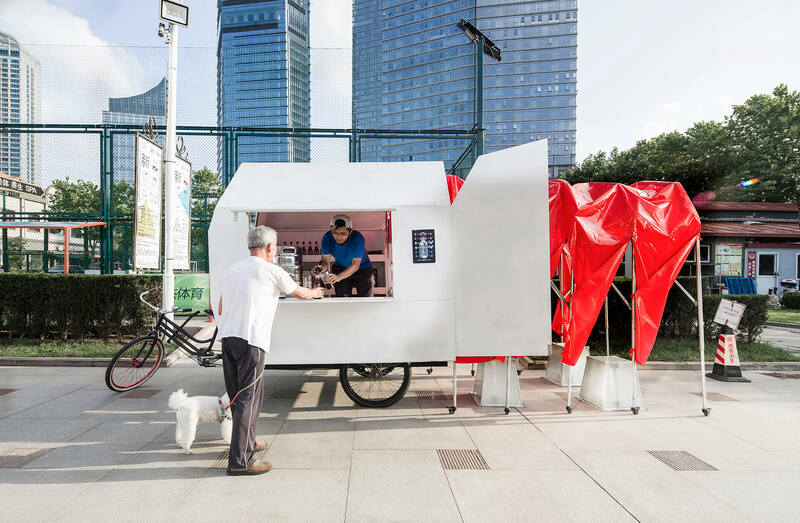 With the use of our proprietary prefabricated system, the People’s Station was conceived and built in a total of three months. The interior of the People’s Station features a large events hall that is flooded with natural light from pyramidal clearstory windows floating above. The exhibition space expands upwards and diagonally towards the staggered second and third floors where visitors will find a Lounge, a Bookstore, and a Cinema. Outdoor terraces on each level offer elevated views of surrounding historic buildings and the ocean that lies just beyond. The interior of the People’s Station features a large events hall that is flooded with natural light from pyramidal clearstory windows floating above. The exhibition space expands upwards and diagonally towards the staggered second and third floors where visitors will find a Lounge, a Bookstore, and a Cinema. Outdoor terraces on each level offer elevated views of surrounding historic buildings and the ocean that lies just beyond. Client:Yantai Chuangyuan Cultural Media, LTD.